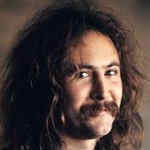 Learn how to play David Crosby – Almost Cut My Hair note-for-note on guitar. There are optional improvised embellishments that can be added and are touched on in the lesson that would move it into intermediate territory, but the main song is easy. Its a great lesson, thank you! Great lesson but I didn’t get email yet.